Aish Vivekanandan, Frost & Sullivan Analyst, reports that human albumin is widely considered as a plasma replacement or expander for therapeutic purposes. However, for over a decade, the healthcare industry has been exploring the use of human albumin as a non-therapeutic substance/excipient for commercial settings. Srinivas Tipparaju, PhD, Anastasia Groshev, Danielle Dantuma, et al designed and characterized a formulation of ODTs at three different compression settings to determine the effective formulation for manufacturing rapid-release ODT promethazine tablets. Dr. Andrew Kaziska, Health Care Applications Manager at Croda Inc, discusses his company’s Super Refining technology and the benefits of excipient purity in drug formulations. Oksana Tsinman, Konstantin Tsinman, PhD, and Shaukat Ali, PhD, describe the application of a hydrophilic polymeric solubilizer in solid dispersions of a model drug carbamazepine. The scope of this study is limited to understanding of hydrophilic polymers and their behaviors on amorphous dispersions. Brian Reilly, Mustafa Al-Azzam, and Robert Kivlin measure the elution rate of DMA from a cured silicone matrix into a physiological environment with the goal of understanding the influence of load level and the use of excipients in DMA delivery through a cured silicone matrix. Marshall Crew, PhD, President & CEO, Agere Pharmaceuticals, Inc., concludes his multiple-part series discussing today’s most challenging issues in solubility. Edward T. Maggio, PhD, examines how alkylsaccharides offer exciting prospects for novel formulations, providing non-invasive delivery, stabilization, and immunogenicity reduction for biotherapeutic products, resulting in broader patient acceptance and compliance and an increase in their acceptance as viable commercial pharmaceuticals. Meridian Bioscience, Inc. recently announced that following the successful release of the Lyo-Ready qPCR Mix, Meridian is proud to introduce its next-generation lyophilization-ready mixes for one-step RT-qPCR. 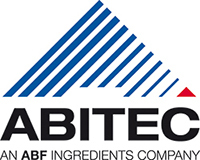 ABITEC Corporation, a global manufacturer of specialty lipids, continues to develop products that meet the ever-evolving demands of the pharmaceutical industry. MilliporeSigma and Roche recently announced they have agreed to renew their current distribution agreement for the Biochemical Reagents and Kapa Biosystems product portfolios, as well as select qPCR & Nucleic Acid Purification products. Croda International Plc, the speciality chemical company that creates high performance ingredients and technologies relied upon by industry and consumers globally, recently announced that it has strengthened its pharmaceutical offering by signing a definitive agreement with Brenntag Nordic A/S to acquire Brenntag Biosector (Biosector). 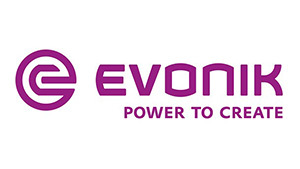 Evonik, a global leader for functional excipients used in oral solid dosage forms, recently announced the launch of an advanced combination polymer for enteric coatings.